It has been a while that I wanted to try on a pair of photochromic lenses myself which looks cool when under the hot sun, it darken the glasses and when back to indoor , it return to clear glasses again. However, after a few of my friends tried it few years back and all switch back to normal lenses with the major reason either it is not darken enough and when they walk into under shade area, it takes ages to turn into clear glasses again. Recently, I was given a chance to try on Transitions@ brand lenses. After pick up the pair of spectacles in couple of hours, I was on my way to Australia for my wedding photography assignment. I was wearing in in the airport and on the plane trying to get use to the new pair of spectacles. Beside a bit heavier than my existing frame-less glasses, I didn’t really feel any different on the glasses itself as the power is the same as my existing one. 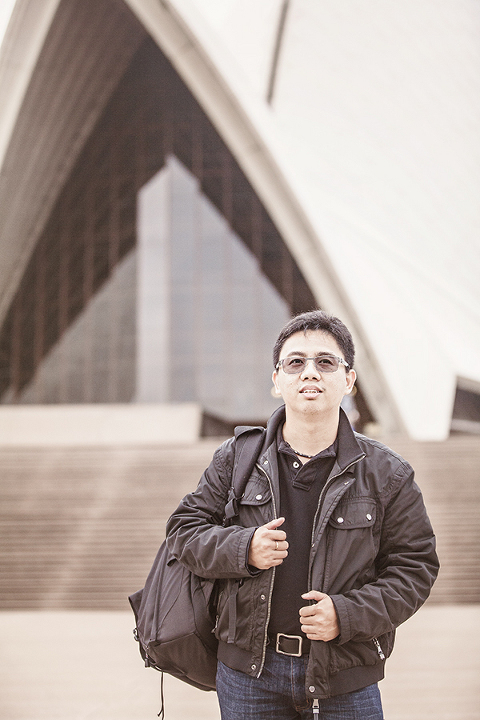 As soon as I touch down Sydney and walk out from the airport, Agnes look at me and said, hey, your glasses is darken ! the great thing is I didn’t realize it at all as from my eyes, it looks the same brightness from the moment I was in the airport till I step out of the airport and waiting taxi under the sun. Within the following 10 days shooting frequently required me to walk in between under the shade / indoor / outdoor, Transitions @brand photochromic lenses works perfectly for me as I do not feel anything at all as the lenses darken or fade back within split sec. It happen so smooth that I didnt aware of it at all and continued visual comfort for me. These lenses totally change my point of view on the photochromic lenses effect and it works perfectly for me.